My first book came about when I was given the task of putting up exhibitions of photographs at the Record Office on behalf of the Leicester Forest Photographic Society of which I was a member. A photo in the Leicester Mercury of a Victorian shopkeeper standing proudly outside his shop gave me the idea for the theme for one of the exhibitions. I photographed a few of South Wigston’s shopkeepers for the exhibition but after the exhibition was over I continued to take photos of the shopkeepers. 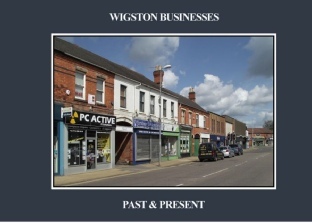 One of them Mick Phipps told me that it was the last day in his shop and knowing that his shop was covered from floor to ceiling with photos of old Wigston I asked if he had them on a CD and if so could I have a copy and he readily agreed. After going through them I realised that I had the beginnings of a book. I also was put in touch with several local people like Alan Kind, Mary Herbert, Primrose Wray’s daughter, and Duncan Lucas all of whom were very helpful and gave me a lot of support and importantly more photographs. 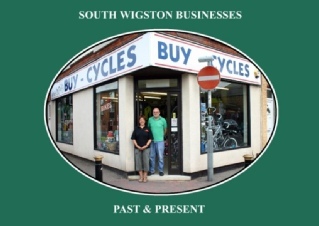 I then decided I had enough material to put my first book together with the title “South Wigston Businesses Past & Present” Realising I had to advertise my book in order to sell it I asked the local South Wigston Library if I could put on an exhibition of my prints there and they readily agreed; not only that one of the staff decided to take things further and organised an opening ceremony for all the local shop-keepers involved in the book and it was officially opened by Bill Boulter. The library also kindly offered to sell my books for me. 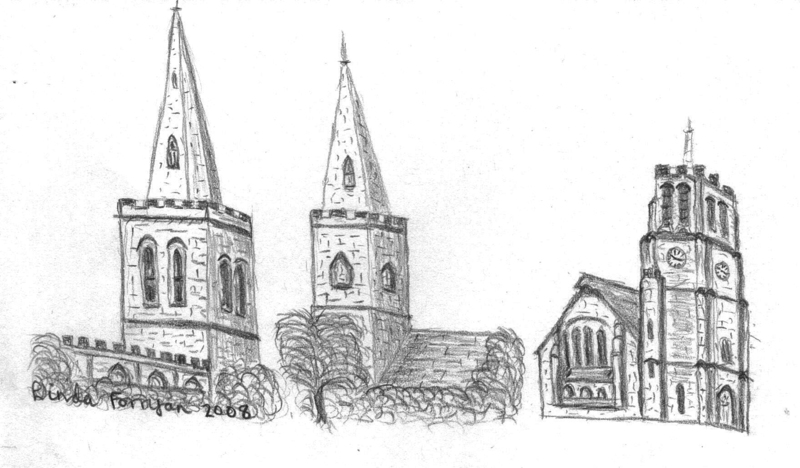 together with a large exhibition this time at Wigston Library on Bull Head Street. This was officially opened by Duncan Lucas. 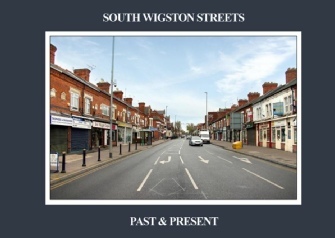 By this time I was constantly looking out for new ideas to put into a book and decided to produce my third book with the title “South Wigston Streets Past & Present”. Two of my grand-children, Sophie Danvers and Kieran Smillie, had both decided to study photography for their A-Level so I thought it might be a good idea to encourage them by asking them to take some of the photographs of the streets for me. Once again an exhibition of photographs taken from the book was held at the South Wigston Library. 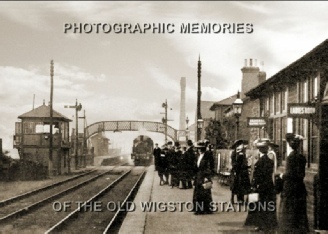 My fourth book “Photographic Memories of the Old Wigston Stations” came about after looking at the CD Mick Phipps gave to me and realised that there were many photos of the three main railway stations. When Bill Boulter heard about my latest project he gave me the name of Barry Hilton who he thought might be able to help me and Peter Cousins also put me in touch with John Stevenson. As a keen train spotter in my youth and as I also ran a railway society at the school where I once taught, it became very much a labour of love. 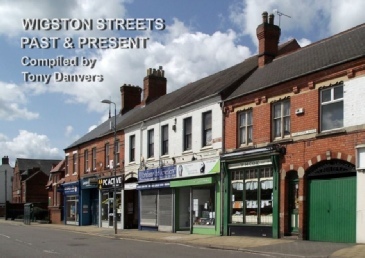 My fifth book in this series “The Streets of Wigston Past & Present” was a follow up to my third book on the streets of South Wigston. I am very grateful to Mike Forryan for writing the foreword to this book. 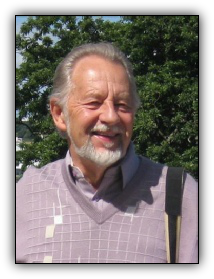 From the very beginning Duncan Lucas has been very supportive of my efforts and has given me permission to use any of the photographs from his extensive photographic collection that I needed to produce my books. For which I am most grateful. He has also written forewords for several of my books.